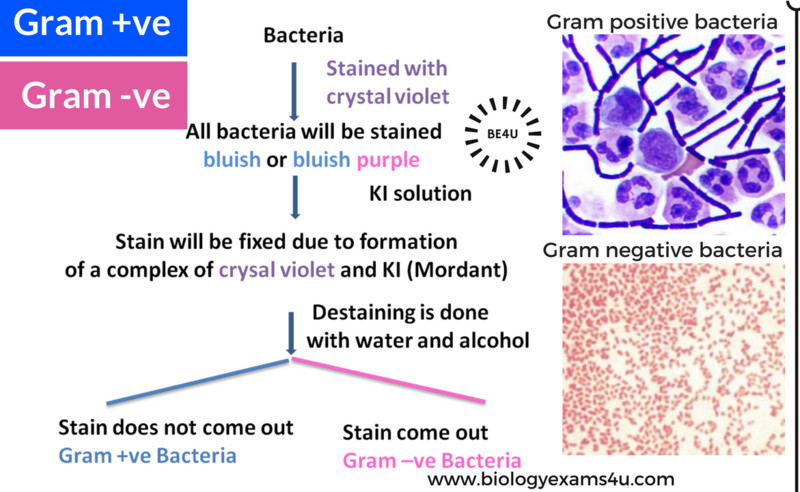 Bacteria can be divided into two large group on the basis of differential staining technique known as Gram Stain developed by Christian Gram in 1884. The two types are morphological indistinguishable yet differ in their cell wall. The gram staining procedure involves staining cells with the dye crystal violet and all the bacteria will be stained blue. The bacteria are then treated with an iodine solution and decolourized with alcohol. Those bacteria which retain stain are known as Gram positive and those which do not retain the stain are termed as Gram negative. 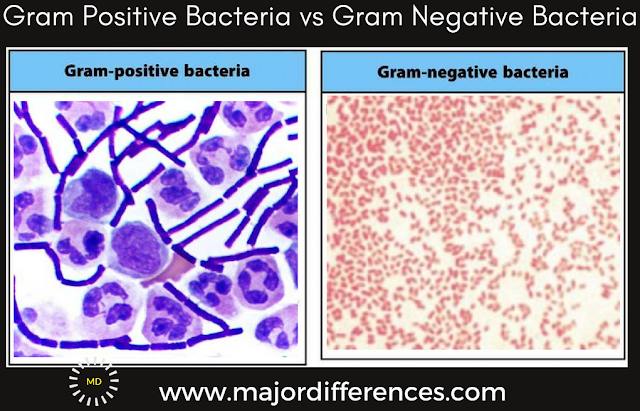 This is the fundamental difference between gram positive and gram negative bacteria.